Manage all your cinema’s online marketing needs in one place. 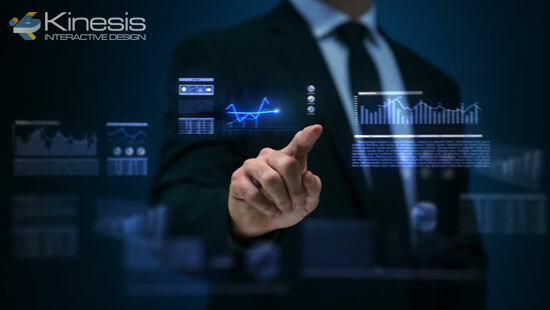 Kinesis Interactive Cinema System (KICS) is a professionally developed web site management and marketing software platform made exclusively for cinemas. SimpleKinesis makes managing every aspect of your online marketing simple. Use your web browser to control everything, anywhere. 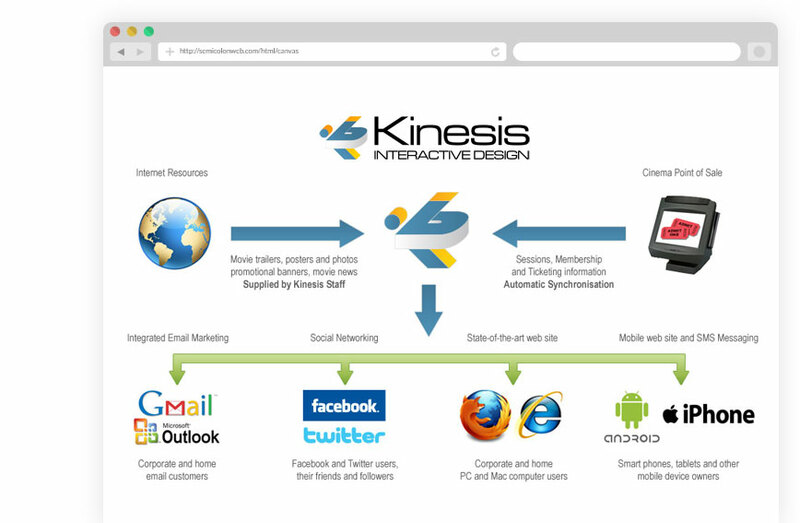 PowerfulKinesis is a complete online marketing system including web, email, mobile, search, advertising, and social networking services. EfficientKinesis has many automatic features that save time every single week. Don’t waste any more time on your website updates! AffordableKinesis is designed exclusively for independent cinemas. Investing in this complete online marketing system costs less than you think! Reach your audience anywhere, anytime! Kinesis provides you with your own mobile app designed for today’s most popular smartphones. Responsive layout available for optimal viewing, easy reading and navigation experience across all devices. Scan your E-tickets from your smartphone or tablet. Kinesis makes ticketing very simple. Our member management system frees you from most member maintenance. KICS can interface and extract session times from many popular ticketing systems, including Showcase, Venue, Vista,..
Cinemas throughout Australia rely on KICS every day to provide essential information to their customers through a variety of mediums and services. Independent cinemas such as Cameo Cinemas, Belgrave Cinemas, Bendigo Cinemas,Regent Cinemas,South West Roxy Cinema,State Cinema,Fays Twin Cinemas and many others benefit from a comprehensive and modern website, a mobile optimised website,integrated online ticketing solutions,iPhone and Android apps, email marketing services and many other features. Larger cinema networks such as Majestic Cinemas,Dendy Cinemas,Lido Cinemas and Grand Cinemas enjoy the simplicity of a shared, integrated Content Management System (CMS) designed to remove time consuming repetitive tasks. 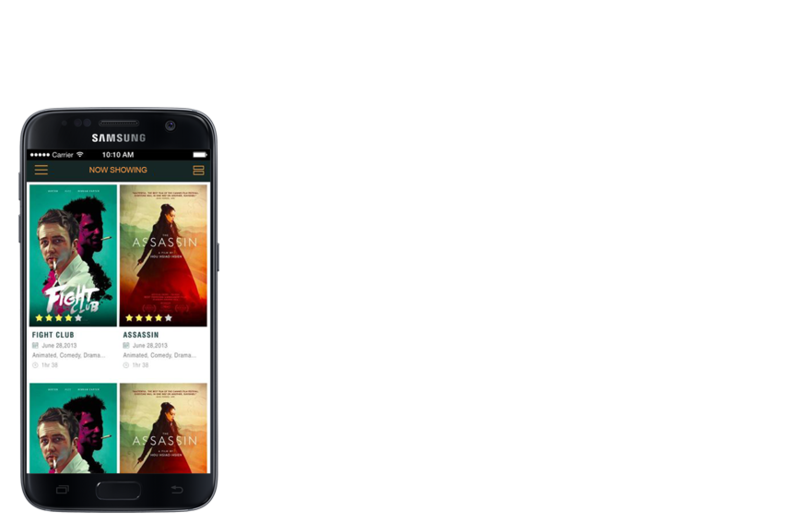 Our CMS has been built from scratch to serve the needs of cinema exhibitors.